Ulik is a fictional (Character) comic book supervillain that appears in books published by Marvel Comics, usually as an adversary of Thor. Ulik was created by Stan Lee and Jack Kirby, and first appears in Thor (February 1967). 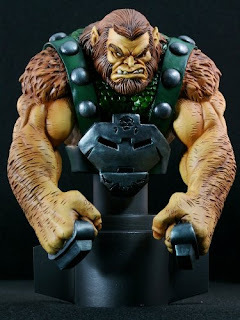 Debuting in the Silver Age of Comic Books, Ulik has appeared in over four decades of Marvel continuity, principally as a member of the character Thor's Rogues' Gallery. The character has also appeared in other Marvel-related products including animated television series, toys, and trading cards. 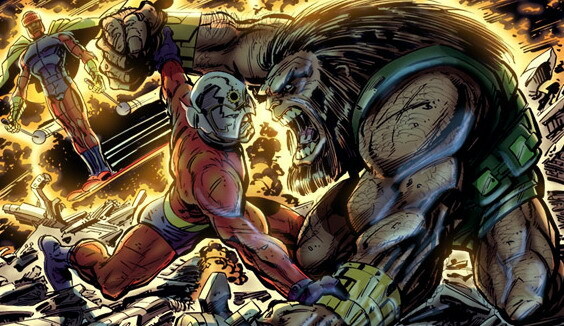 More about Ulik (Marvel Comics) Character Review - keep on reading !! Ulik belongs to a race of Rock Trolls who live in the dimension of Asgard in the "Domain of Trolls" in Nornheim. Like all trolls, Ulik has an innate hatred of the Asgardians as they were driven underground by the King of the Norse gods, Odin, and forbidden to live on the surface. 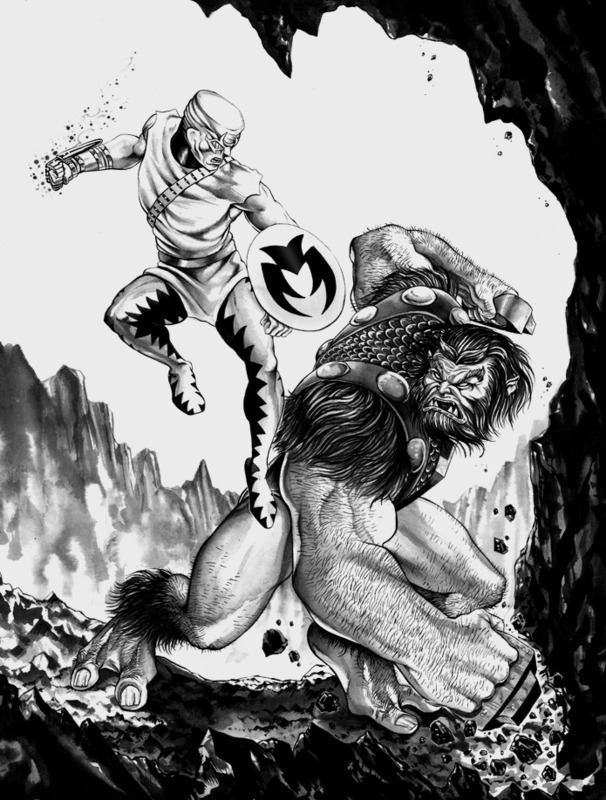 Ulik is commanded by the Rock Troll King, Geirrodur, to steal Thor's enchanted hammer, Mjolnir, before an attempt to invade Asgard, leading to an extended series of battles with the Thunder God. 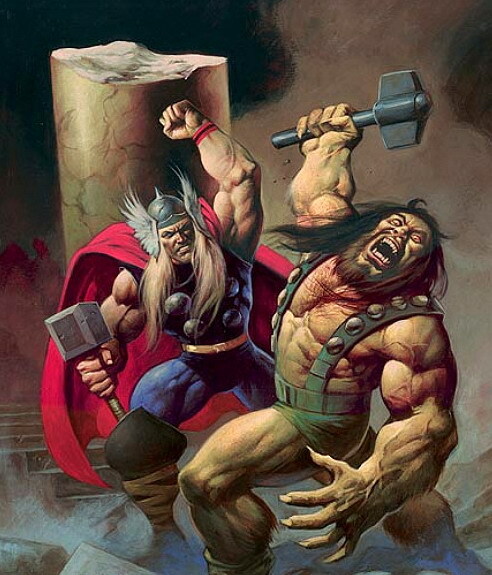 Ulik proves to be a match for Thor, as the character possessing increasing strength and is equipped with knuckle dusters made of the metal uru (the same metal Mjolnir is composed of). He nearly defeats Thor after going into the berserker state of mind, but is transported away by Geirrodur. Later on Earth he traps Thor in his guise as Don Blake, and tries to gain the power of Thor with his cane. Don tells him to strike it again, although Ulik says if this fails he will kill Blake, but when Ulik brings the cane down Don suddenly holds it, meaning he transforms into Thor. However, like all of Asgard, Ulik is reformed on Earth. During the World War Hulks storyline, Ulik resurfaces and is shown to have gone on a multi-state drinking binge. He ends up destroying a train bridge with the disaster being averted by A-Bomb (Rick Jones) and Marlo Chandler. When Ulik starts choking Marlo, he is defeated by A-Bomb. After Thor dies during the Fear Itself event, Ulik replaces him as Tanarus, the new Thunder God, endorsed by the All-Mothers of the Vanir (Freyja, Gaea, and Idunn). Exploiting a glamour charm given by Karnilla the Norn Queen and the circumstances of Thor's death, Ulik is able to retroactively place himself in Thor's place, rewriting history in the process. Only a few individuals like Karnilla and the current juvenile incarnation of Loki are aware of the deception. Tanarus's blunt nature in contrast to the honor of the true Thor allows Heimdall and Sif to realize that something is wrong relatively quickly, culminating in the returned Thor defeating 'Taranus' after his resurrection with relative ease. Ulik possesses superhuman strength, stamina, and durability and has the ability to see into the infrared range of the spectrum, allowing complete night vision. In battle Ulik uses "pounders", metal bands forged from uru and worn over the hands like brass knuckles. Ulik appears in the video game Marvel: Ultimate Alliance, voiced by Fred Tatasciore. He and Kurse steal a chest containing Volla's ring and the heroes have to fight them to get it back. Ulik appears in Thor: God of Thunder (based on the live-action film), voiced by Steven Blum. Loki diverts Thor to Ulik's realm as part of a plan to make himself the new hero of Asgard by defeating the powerful Mangog only for Loki to be forced to help Thor activate Frostgrinder (the troll version of Bifrost) when he realizes that Mangog is too strong for him, culminating in Thor defeating Ulik to gain access to Frostgrinder.